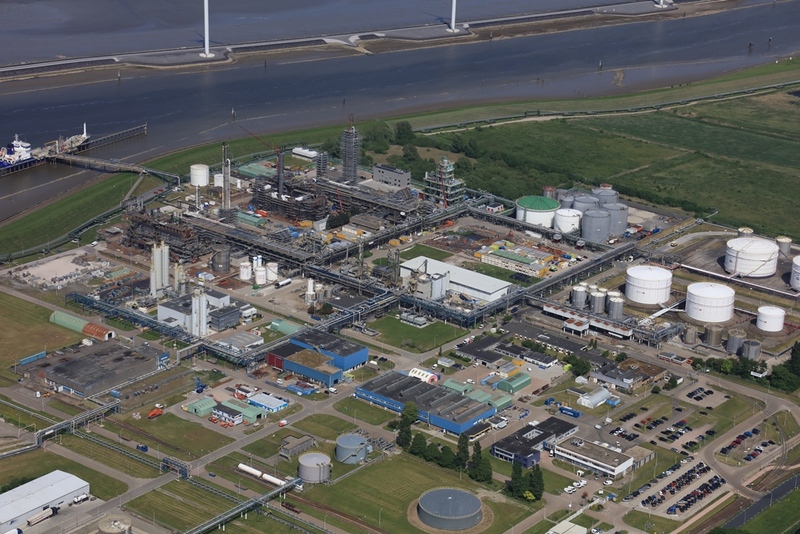 ChemCom Industries in Delfzijl is to undergo a major expansion with modern storage and loading capacity for two types of adhesive. ChemCom is thus taking on a six-year commitment to a large company that makes sustainable wood products. With this long-term cooperation, the company will secure the sale of these products for the next six years, saving 13 jobs. This expansion is also being made possible by a subsidy of 315,000 euros from Regional Investment Support Groningen (RIG). Member of the Provincial Executive Patrick Brouns is proud of the company in the Eems Delta: “ChemCom is making good inroads with innovations and the expansion and greening of products. With the support of the RIG subsidy the company has already built a plant for the production of raw materials for high-grade alternative fertilisers and a plant for the production of Glycamal, a ‘green’ chemical product that replaces ‘grey’, non-sustainable and non-environmentally friendly alternatives.” Peter Arnold Jellema, Director of Economic Board Groningen (EBG), couldn’t agree more. “This investment by ChemCom will save jobs and make the chemicals sector in Delfzijl greener: a clear win-win for all concerned”.